North Korea also known officially as the Democratic People’s Republic of Korea, is a country located in East Asia, in the northern part of the Korean Peninsula and has border with China, Russia, and South Korea. The name Korea is derived from the Kingdom of Goguryeo and its also spelled as Koryŏ. North Korea can be described as mountainous region as 80% of the country is covered with mountains. These and many more are some of the amazing facts about North Korea. It is interesting to note that North Korea has an area of 120,538 km², of which 120,408 km² is land and 130 km² is water. It has 1,671.5 kilometres (1,038.6 mi) of land boundaries; of these, 1,416 kilometres (880 mi) are with China, 238 kilometres (148 mi) are with South Korea, and 17.5 kilometres (10.9 mi) are with Russia. This bridge was built by the Japanese who was occupying the area in 1941. 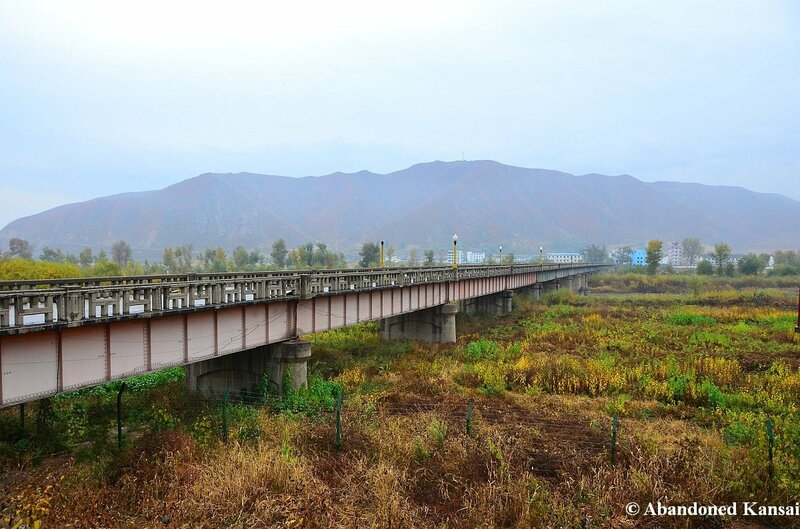 Looking towards the extreme end, you will see the city of Namyang in North Korea. Now, lets get in and find out some of the interesting facts about North Korea. 1. Year 2017 is Juche 106. In North Korea, years are not counted like the rest of the world, rather their own counting begins on the birth day of their founder and supreme leader, Kim Il-sung. Although Kim Il-sung is considered the eternal rural of North Korea, King Sejong the Great, inventor of (Chosongul) the Korean alphabet, is one of the most honored rulers in Korean history. 2. Barred From The Word. North Korea is the most isolated country in the world with numerous traveling and economic sanctions imposed on the country for more than six decades now. Its citizens are totally cut off from the world, with no access to the internet and mainstream media. 3. North Korean Hair Styles. North Korea has only 28 approved hairstyles for the country’s citizens – 10 for men and 18 for women. You can only choose your hairstyle from the state’s approved hairstyles. 4. Cannabis/Indian Hemp. Cannabis or Indian Hemp popularly known as pot in the USA is completely legal in the North Korea and is not even classified as drug. 5. Blue Jeans Are Illegal. The popular blue jeans are illegal in the North Korea because they sees it as symbol of America imperialism. If you are ever planning of visiting the country, make sure you leave all your blue jeans behind. 6. The Ryugyong Hotel Empty Hotel Rooms. 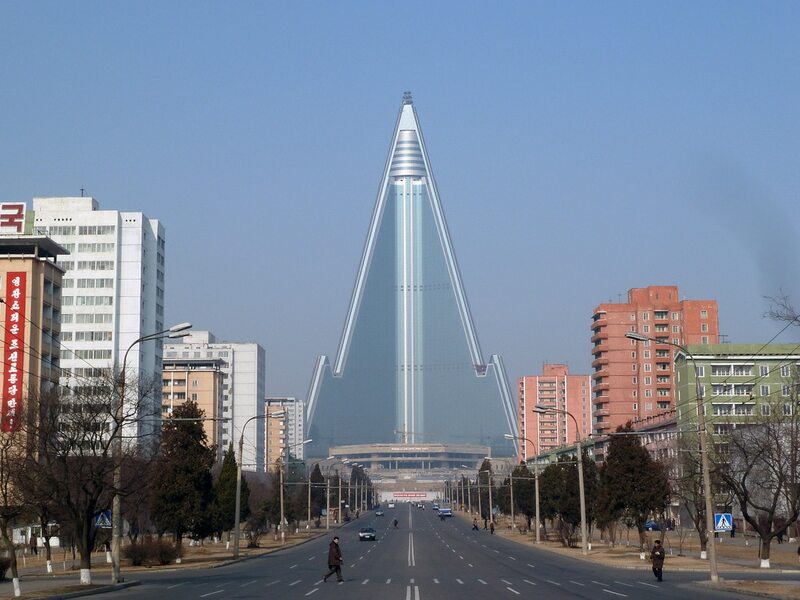 The Ryugyong Hotel building is the 24th biggest building in the world. Its a massive architectural stricture that dominate the North Korean skyline. However, its 3,000 rooms are always empty all year round. 7. Three Generational Punishment. Some of the crime committed by the father/parents get suffered by their children and grand children who moved into the labour camp with their parents and remained there for years. 8. Three TV Stations. The whole of North Korea has only three television stations. Two of those works only during the weekends. Every businesses and homes in North Korea are required to tune to the Government owned radio station of which they can’t be tuned off. 9. You Can’t Buy Cake And Coke. North Korea and Cuba are the only countries of the world where you can’t buy cake and Coca Cola has never operated in the North Korea for the first time in the history of the company. 10. US Navy Ship In North Korea. North Korea is the only country in the world that still have a USA Navy ship captured. Seized in 1968, the USS Pueblo is now a center of attraction in North Korea.